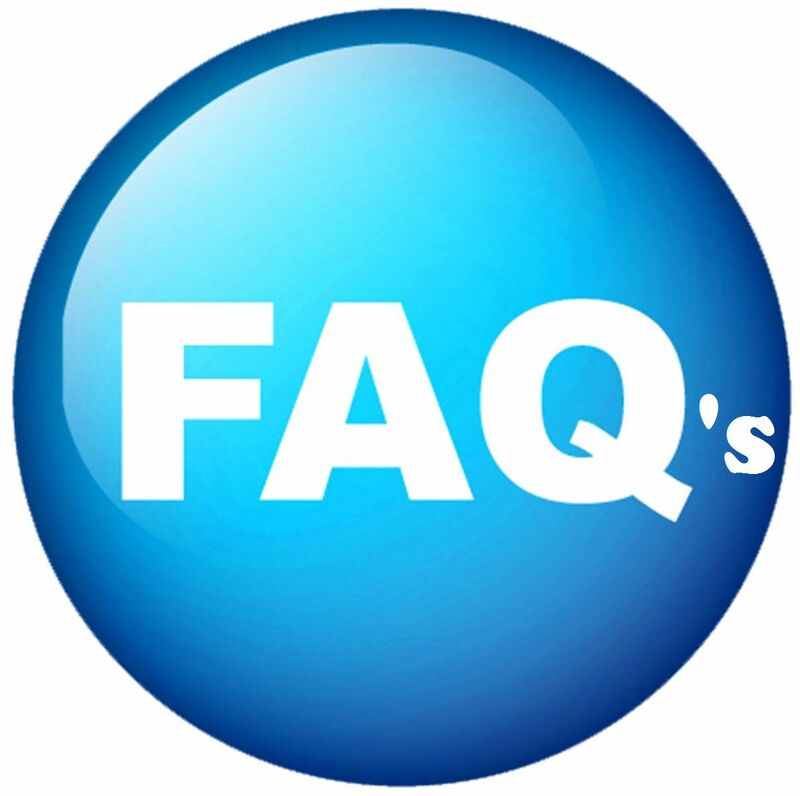 • A list of Short Sale FAQ’s will immediately follow the introductory content of this page. Here we are today... lately we have all seen an increase in home values which means that many homeowners are rising above being “underwater or having had negative equity”. Granted home prices are appreciating, but still there is many homeowners who have negative equity and contributing to that are outside forces such as the economy. These homeowners have fallen into a hardship situation and now are facing the probability and/or the need to sell their home. After unsuccessful attempts of trying to refinance, they have come to the realization that restructuring/refinancing their initial loan is simply not forthcoming anytime soon. Are you in this same and/or similar situation? Remember short selling your home will FREE you from that negative equity and depending on your circumstances, it usually is viewed as a much better option than a foreclosure and/or a bankruptcy. We will provide counseling in regards to your options. Once I have reviewed your circumstances and in fact a short sale is your best option, next we list your home while at the same time we can discuss our marketing plan. A short sale package will need to be put together, then we start the process to work with your lender. In the meantime, other efforts will be to secure a buyer. Always remember that my short sale services are provided to the homeowner at zero cost. ... Immediately below are some items that I can negotiate for you, and the others are standard Short Sale facts followed by "Short Sales - Frequently asked questions (FAQ's) "
•Seller pays zero commissions and zero closing costs – Based on your finances, the Short Sale is structured so that the seller is not obligated to pay either one. •Preserve your Credit - A Short Sale is a much softer hit on your credit than a Bankruptcy or Foreclosure. •Foreclosure or Bankruptcy prevention – Yes you do have options. For your benefit, our goal is to avoid this route. •Price the Home right, meaning at or about Market Value in order to attract offers quickly – This reduces the Market Time, therefore minimizing any inconvenience to the homeowner. •Seller relieved of deficiency amount and all past due property taxes – This is great news to the seller with a financial hardship. Past due property taxes will be settled through the proceeds upon Escrow closing. •Seller is freed of the debt and deficiency amount – Current Senate Bills and Laws will not allow a lender to pursue and demand a payment of a “non-recourse” loan from the distressed homeowner. •Zero seller taxation on the deficiency due to a Short Sale - Many thanks to current Senate Bills and Laws, no seller income taxes are due on the deficient amount. This is still currently applicable for this current tax year. A Short Sale is the sale of a home or condo in which the homeowner owes the bank more than the homes current market value. The proceeds from the short sale will not be sufficient enough to fully pay-off the existing balance of debts secured by liens against the property. Fully knowledgeable of this scenario, the bank/lender then approves the home to be sold for less (ie: short) than what is owed. For the most part, this type of sale occurs when a homeowner can no longer afford the mortgage loan payments and the value of the property has dropped to a level in which the homeowner cannot refinance their home. The Bank decides that selling the property at a loss is better than (A) forcing you into foreclosure and (B) the bank avoids the high cost of the foreclosure process. We will provide short sale counseling to any homeowner at no cost. Also know that a successful short sale includes the lender forgiving any remaining loan balance, clearing you from any future contractual obligations to the lender. 2) What is a hardship letter? This is a letter that explains the borrower's current financial circumstances. The letter must point-out that their personal financial situation has changed from when the house was purchased and why the mortgage payments can no longer be made. These circumstances are what has led to a borrower’s inability to make their payments/mortgage obligations. This letter must be written by the borrower, must be sincere and demonstrate, in the letter, that the contents and reasons are the truth. 3) How do Short Sales work? and What is the process? The first stage is for you, the homeowner, to get all documentation that your bank will require us to send to them – this is called the “Short Sale Package". Included are tax returns, recent bank statements and a few other items are required. Since the required documents are yours, this stage lies solely in your hands. I will guide and assist you on what is needed. The second stage is to schedule an appointment with me. At this step, not only will we get to know each other but here is where I consult you in regards to the options you may have. After this initial consultation and if it turns out that short selling your home is the best option, then we sign a Listing Agreement and other related and necessary documents to market your home. The third stage involves a marketing plan so that your home can attract a ready, willing, able, and a very committed buyer. Finding the right buyer can take as little as a few days or a few months. If the home is priced right (market value) we should receive a good offer within 30 days. Fourth stage: Once the seller accepts a purchase offer, This too will also be submitted to the lender/bank. By now you would have signed a “3rd party authorization” document, meaning that you are giving me authorization to communicate with the lender/bank on your behalf. The actual negotiation/approval process can take as little as 30-45 days or as much as 90 plus days. This really depends on the bank and if there is more than one loan (a 1st and 2nd), then this will add to the number of days for lender approval. This time period involves a lot of communication such as phone calls, emails and faxes between the lender, me and you the homeowner. The fifth stage of the Short Sale process is when the Bank provides a “Short Sale approval letter”. On the average, the lender issuance of the Short Sale approval letter usually takes between 60-90 days from the date the offer is submitted. Sixth stage: What follows is the Escrow period which usually the lender wants it to be a closing period within 30 days from their short sale letter approval date. The buyer then proceeds to work with their lender and Escrow in order to close just like they would with any other home purchase. Sometimes a buyer can and will close in as little as 10 days after approval, most will close within the 30 day period. It is important to know that if the lender/bank issues a directive to close within 30-days of approval then it is best to abide by that directive. If not, this whole process could start all over from the beginning or the house could be foreclosed on. 4) Who is a short sale good for? • Someone who owes more than the value of their home. • A homeowner who has experienced or is experiencing a financial hardship. • A homeowner who is no longer able to afford their mortgage. • Homeowners who have been denied a loan modification. 5) Why and how do some people get into Short Sale situations? ● The homeowner may no longer be able to keep up with all of their monthly obligations due to job loss or other sudden change in monthly household income, a divorce, illness, law suits, health issues or a drastic slow-down in their business, etc. ● Let’s say you are not behind on your monthly mortgage payment but you know that you will soon be unable to keep up with all of your monthly obligations which will lead to the fact that you not be able to afford to keep your home. At this point, I highly reccommend that you contact me and we can go over your options. • Many people see their credit cards get out of control as they place their mounting bills on them just to keep up with their mortgage payments. Eventually this catches up to you. ● Also let’s say you are NOT behind on your monthly mortgage payment but need to relocate . Reasons could include a job transfer, military PCS orders, a health reason such as you can no longer go upstairs where the bedrooms are located or another health reason could be that you need to move to a dryer climate etc. • We are hearing many stories of homeowners just walking away and letting the bank foreclose. I cannot emphasize to you enough for you to contact a short sale REALTOR® professional. I can consult you in this regard and you may find that a Short Sale may prove to be a better option than being foreclosed on. 6) Does a homeowner benefit from a short sale? A short sale relieves the stress of being in foreclosure and it allows the homeowner to get rid of their mortgage payment thus being able to move on with their lives. A short sale allows you to stop a foreclosure proceeding and get a fresh start. In my experience, this is the primary benefit to the homeowner. On the credit side, a short sale is arguably the lesser of two evils. Having some late payments, and a foreclosure filed has already done damage to your credit.. However, a completed foreclosure generally does more damage than a short sale. Obviously, if you choose bankruptcy, this will significantly damage your credit score. 7) Who else benefits from a Short Sale? In many cases, the short sale is a win-win for all parties involved. Lenders can write off a problem loan sitting in their books and not pay the expense of a foreclosure, borrowers can sell their home with the remaining balance written off, and realtors can facilitate the transaction and receive compensation (commission) from the sale of the property. So you see, it is a “win-win” situation for all. 8) Do I qualify for a Short Sale? A good Short Sale candidate means that there is no equity in their home. A homeowner will not be not able to sell their home and pay off all of the outstanding loans/debts that are secured against their property. If you owe more against your home than it is currently worth and want or need to sell it, then you are a prime candidate. A candidate you are, but know that there is other factors that need to be met. 9) Why Would a Lender Accept a Short Sale? • A lender will accept less than they are owed because the alternative is a foreclosure. Just as with the borrower, there are significant consequences to the lender if they foreclose. More of a monetary loss to the lender. • The legal costs of eviction and repossession. • The loss of loan payments during the foreclosure process until it is re-sold. • A foreclosed house usually does and will need work before it can be resold. • After the foreclosure, the bank has two options: Sell it in an auction at the courthouse steps, or try to resell in the market as a foreclosed property (REO). 10) Do I need to have a major hardship to do a short sale? Generally speaking, sellers do need a hardship to do a short sale, however; there are ways to do a short sale without a financial hardship (such as a job transfer or health reasons). First, understand there is no guarantee that a bank will agree to accept a short sale and release the loan under circumstances that involve a hardship, much less those without a hardship. Every bank is different, not all lenders are the same. Some are more lenient than others in regards to their rules as to what they consider to be a hardship. Lastly, lender guidelines do vary from one lending institution to another. To some extent, that will depend upon the mortgage company considering the Short Sale request. Generally, so long as the hardship is real and the mortgage company understands that the loan is likely to become delinquent or in most cases the homeowner is already delinquent, then the result is usually that the hardship reason is considered acceptable. A big key to getting the Loss Mitigation department, or those in-charge of reviewing the hardship, is to submit a truthful and compelling hardship letter. The hardship letter sets the tone for the entire file. 12) Is a Short Sale right for me? As of late, Mortgage lenders are more-and-more willing to work with homeowners, faced with a financial hardship, to accept a discounted payoff on a mortgage. If you are faced with a “hardship” and it is looking like you will soon be unable to meet your obligation on your mortgage, your lender would prefer to settle the matter with you as opposed to taking back the property through foreclosure. As you consider the option of pursuing a Short Sale, remember your lender is looking to limit any potential loss on your loan. By you and the lender participating in completing a Short Sale, just know that your lender has arrived and settled on a solution that is, for them, much better than a foreclosure. Bottom line, your lender usually wants to work with you. Do not wait until it is too late to have any type of a working relationship with your lender. In addition, now would be the time to contact me. 13) When should we begin working on the Short Sale together? If you recognize that you are unable to keep up with your mortgage payments and soon will be falling behind, ideally it would best to start working on your Short Sale as soon as possible. Distressed (short sale) situations are very time sensitive and you need to know that negotiations do take time. The faster I can begin negotiating with your lender, on your behalf, the greater the likelihood of a successful resolution. You don’t have to wait until you receive a notice of default (NOD) or notice that foreclosure proceedings on your home are underway. Take action today, Oscar Castillo is here to help you. Let’s get your questions answered, and also know that there is a zero cost to you for me to consult you in regards to the options you may have. 14) If a lender saves money working out a short sale arrangement- as opposed to foreclosing on the property, then why do they request so much information and why does it take so long for them to work a file? The lender wants to make sure that a borrower is truly having financial problems and is not one of those individuals who for various reasons just want to stop paying for the property and their mortgage debt. If the borrower has funds in the bank (liquid assets), the lender will want the borrower to use them in the short sale process. The lender also wants to make sure the borrower is not selling the property to a related party for the sole purpose of that related party to sell back to the “short sale seller” at a price far less than what was originally owed. The bottom line is that the lender is going to manage the transaction with the objective of recovering the most money for the investor/lender. The time frames involved cover a multi-step negotiation process between the borrower and the lender with either the lender or borrower objecting to certain terms and making various counter proposals before coming to an agreement. Third party appraisals and BPOs will also need to be done before the negotiations can be formalized in an agreement. 15) How long does it take to complete a short sale? The time frame for the lender to receive and evaluate the short sale proposal is about 8 weeks from the time the offer and Short Sale Package is submitted. Also, a Short sale package can also be submitted to the lender prior to having received a purchase offer. Both sellers and buyers need to be informed upfront that this is a lengthy process. This is why it is very important for the listing agent and the seller to select a “committed” buyer. Both the buyer and buyer agent need to make sure they are working with a Short Sale Listing Specialist REALTOR® who knows how to maneuver and manage the entire transaction. The last thing we want is a buyer to start getting cold feet because they were unaware of how long a short sale transaction can and does take. 16) How do I get started on a Short Sale? 17) What is a Short Sale Package and What Needs to be in It? A short sale package is used and submitted to the lender to determine whether a homeowner can afford the property and is there really a hardship?... Most lenders already have a standard package which they will send to the borrower upon request. The borrower/homeowner is expected to provide financial information to include all income and household expenses. The seller must fill out the forms. The next step is to send the short sale package to the lender in order to start the Short Sale process. This is usually done by your 3rd Party Authorized listing agent REALTOR®. At this point if you have already accepted a purchase offer, that can submit that also. • Hardship letter (explanation as to why the homeowner is unable to pay the mortgage). • Last two (2) years tax returns. • Two (2) most recent bank statements (within the last 30 days). • 3rd party Authorization to Release form (in order for bank to speak with real estate agent, attorney or other representative). • Two (2) most recent pay stubs (within 30 days). • If Self Employed, 2-years tax returns plus a current year-to-date profit and loss statement. 18) Why do I have to sign a Borrower's 3rd Party Authorization? The Borrower's 3rd Party Authorization gives the bank/lender the permission to speak to your REALTOR® representative about your loan. That's all it does, but it is necessary. An authorization must be filled out for each mortgage and for each REALTOR® or escrow officer authorized to act on your behalf. 19) What if my mortgage is an FHA, HUD or VA mortgage? Short sales can still generally be accomplished on all of these types of mortgages, though each one and in some cases each bank/lender has different criteria. There is different channels and programs within each institution. One has to know how to maneuver through them. Of course, with the sole objective of having a successful bank approval. Upon approval we go to escrow. 20) What do I do about my unpaid property taxes when I do a short sale? Just as in a normal home sale, the property taxes are the responsibility of the homeowner until the date the sale is closed. Then they become the responsibility of the buyer. But if you have a hardship and unable to pay your property taxes, this is one item the lender will pay. But do let me know upfront. So if you owe back taxes be very open with me so we can put this tax issue “on the table” therefore we can make sure the proceeds from the sale will take care of this unpaid property tax issue. 21) I have received a “Notice of Default” (NOD) or an Acceleration Notice from the bank, Is it too late to do a Short sell? No... These NOD’s are filed when the borrower has a late payment, or several late payments. The foreclosure process allows for time for the owner to remedy the situation before a Notice of Sale date is posted. This time period of when you are late on payments or risk being late on payments is the time to get to know your options and take action. 22) I have received a “Notice of Sale” (NOS) from the bank. Is it too late to do a Short sell? The most important thing to remember is: … do NOT put off or put aside making the decision to do the short sale. Lenders usually will accept a short sale package (that includes an offer to purchase your home) up to 15 days before the Sale date. Anything between the 15-days before and the posted Sale date may be too late. Some lenders have even have tighter guidelines, so the thing to remember is to be PROACTIVE and not REACTIVE when it comes to making the decision to short sell your home. 23) Other people are on the deed with me, but they don't want to short sell. - Can I still do a short sale? No. All parties listed on the deed or mortgage must sign all the necessary short sale documents. Sorry, there are no exceptions to this. 24) My spouse and I are both on Title…I would like to do a short sale but my ex-husband/ex-wife just wants to let it go into foreclosure. Can I still do a short sale? A short sale can only be done with full cooperation of all parties. Remember, your spouse will have to cooperate in providing and signing all applicable paperwork to the bank. In addition both spouses will have to sign the Listing and Purchase contracts, including all other short sale related documents and all escrow closing documents. 25) Can my lender go after me for the money it loses in the short sale? No … In conjunction with SB931 which added 580e, effective January 1, 2011 the California Code of Civil Procedure “580e” prohibits deficiency recoveries following short sale for first mortgages. This law protects homeowners that complete a short sale on a residential property of 1-4 units, whether or not it is owner-occupied. In July of 2011, Senate Bill 458 added to this law, which included junior mortgages. You being a California homeowner, neither your first or second mortgage lender can pursue you for the deficiency balance after they have approved your short sale and has successfully closed. This means that after the short sale, the mortgage lenders will “forgive” you for the remaining balance, and send you a 1099-C for the forgiven debt. The "C" stands for cancelled. Talk to your tax professional about this. 26) What if I have a first and a second loan on my property with 2 different lenders (or the same lender), Can I still do Short Sale? Absolutely! You will often hear this referred to as a first and a second. It is a little more complicated but many short sales get resolved/closed that involve two loans or more. Know that, for the short sale to reach a successful close of escrow (COE), both lenders have to approve the short sale thus both agreeing to settle for a short payoff. It is important to note that both lenders have a vested interest in doing this. The lender with the first loan does not want to foreclose, and therefore is willing to give a little money to the second in order to get them to agree to the short sale. Another key note: is that the second lender will get nothing if the first lender forecloses, so with the knowledge that something is better than nothing, there will be a high probability the second lender will agree to take a fraction of what they are owed in order to avoid getting absolutely nothing. 27) Who Qualifies for a Short Sale? • Loss of job, and difficulty in finding new suitable job. • High medical expenses due to disability, injury or illness in family. • Divorce – one spouse cannot afford the home alone. • Unable to afford the loan from the beginning. • House needs unexpected major repairs. •Adjustment in mortgage payment due to interest rate or an unforeseen increase in living expenses. Note: The above are also the most common reasons to short sell and unfortunately the most common that lead to foreclosures. Therefore, start the Short Sale process early in order to better your chances of avoiding the house being foreclosed on. 28) My income problem was temporary. Do I need to short sell my home? You may be able to keep your home. You need to convince your mortgage company of two things. (A) The problem that caused the mortgage payment disruption was beyond your control – illness, injury, temporary disability or forced job change. These are just a few examples. (B)You are now in a solid financial position to stay current on your mortgage payments and are ready to make some progress towards making up the delinquent amount. Note: My recommendation is: do not become distant from your lender. Look at it as if they are your partners in this situation. There is no way they can they know what your dilemma is or was unless you contact them. Lastly, work on getting lender approval on a Forbearance or Loan Modification Agreement. 29) What is a Forbearance Agreement? A Forbearance Agreement is a written agreement with your mortgage company in which you arrange to keep your home. The agreement will normally include two primary elements: (1) The borrower’s documented promise to remain current on the mortgage going forward. (2)Some plan for making up the delinquent interest and other charges. It may mean making additional payments to the mortgage company or the delinquent amount could be added to the loan to be paid later. 30) Do lenders approve all Short Sales? 31) My property is in rough shape and needs repairs, can I still do a Short Sale? Absolutely. In fact, lenders tend to be more motivated to do a Short Sale on a property that needs work than on a property that doesn’t. The lender knows the risk of loss/more repairs goes up when they foreclose on a property. Aside from expense of completing the work, lenders are simply not set up to get the work done. They are in the loan business, not the “fix and repair” business. 32) If I do a Short Sale, how much will I have to pay to sell my home? This depends, but in most cases it will be nothing. In most all short sales, the seller usually and literally pays zero sales costs if your lender approves the Short Sale. All agent commissions, title and escrow fees are paid by the lender as part of the Short Sale approval. If there is a Home Owners Association (HOA), then the HOA transfer fee and any late HOA payments may be absorbed by the lender (it usually is not). So if not absorbed by the lender, then this has to be negotiated with the buyer and seller. Also if there is a 2nd loan, some 2nd lenders may require a seller contribution. In cases where the seller is asked for any contribution and it has been proven that the seller has no money/funds, we can negotiate this fee with the buyer. Also know that, income tax liens and outstanding HOA liens are not commonly covered by the lender, and again this can be negotiated.. Remember, lenders approve Short Sales and accept a loss (short pay-off) in an effort to avoid bigger losses through foreclosure. Therefore, lenders are willing to absorb most but not all costs to close. 33) Me being the Seller, how much will a short sale cost me? 34) I am current on my mortgage, will my lender consider a Short Sale? The answer is…maybe. Some lenders will accept a Short Sale “file” for approval on loans that are not delinquent such as job transfers etc. . Other lenders will not accept the file unless the loan is delinquent. We can put your Short Sale file together within a couple days and submit it for approval. (remember, there is no charge for this). The act of submitting the required documentation is the best way to determine if your lender will accept your file for approval on the basis that your loan is current. 35) I am months behind in my payments and the bank is threatening to foreclose. Is it too late to do a short sale? No… But we are “cutting it close”. In most cases a short sale can still be done, but we need to act quickly. Most banks are willing to work with you and we can usually get the bank to postpone the foreclosure sale date as long as we can show them that we are actively pursuing a short sale and you the homeowner are working with a licensed REALTOR®. At this point with the bank threatening to foreclose, the lender usually wants to see a purchase offer submitted at same time the full short sale package is submitted. Do not hesitate, we need to act quickly. 36) How will a short sale affect my credit? It depends on how many (if any) mortgage payments you have missed. The hit on your credit score also depends if you are late on other related payments (taxes, HOA, utilities, etc). The truth is, a person’s credit score takes into account many factors and everyone’s situation is different. Having worked with many clients and with their various situations, I can tell you that I have seen credit scores take hits from 50 to 200 points or more. The “short sale” verbiage in itself is not really what hurts your credit score inasmuch as the 60 and 90 day late payments. The term “short sale” doesn’t actually appear on a credit report, it is simply a Real Estate industry phrase used to describe the selling of the home, negotiating with your lender to sell the house for less than is owed, lender short sale approval thus forgiving the borrowers mortgage obligation along with the lenders short sale file considered as being closed. As a result of such a short sale and a successful close of escrow, how all this appears on your credit report may be shown as “debt settled for less than the amount owed”…. These words themselves will have absolutely no impact on a borrower's credit score. What is important to know here is that 100% of the negative impact/damage on a borrower's credit score comes from the actual missed and/or late payments. 37) Will a Short Sale Ruin My Credit? It depends on how late you are on payments. The short sale is not really what hurts your credit score. What does damage your credit score is the 60 and 90 day late payments. On average you may see 80-120 point drop in your credit score and 2-4 years before you can qualify with a lender to finance the purchase of a new home. A foreclosure may affect your ability to finance a home for 7 years. 38) Why does the bank accept less than they are due? Bank/Lenders will lose less on a short sale than they would if they Foreclosed on a property. On the average, lenders lose tens of thousands of dollars less on a short sale versus a full foreclosure. Dollar-wise, a short sale is simply in the lenders best interest. 39) How long will my property need to be on the market? This will depend on the price point of the home, the community/neighborhood, also it varies during periods of whether it is a “sellers market” or is it a “buyers market”? And lastly it varies from property to property. If the house is priced right, you should get an offer within the first 30-days. Once offers come in, the seller will select the best offer. At this point it goes off the market. The Multiple Listing Service (MLS) will then change from ACTIVE to a CONTINGENT status. So you see the market time is relatively short in comparison to the amount of time that will be spent on working with the lender for the short sale approval letter which is then followed by the Escrow period to a successful closing. 40) Can I get any money out of the short sale? Typically the seller does not receive any proceeds from the short sale as there is no equity, however there are some scenarios where the seller can get money out of a short sale at close of escrow, either through the government HAFA short sale program ($3,000), a relocation credit from the lender ($3,000-$5,000) or even a cash incentive through a lender outreach program (up to $35,000). 41) What about the cash incentives I have heard about lenders offering to sellers for short sales - as much as $35,000? Currently there is only a few banks offering these incentives, most notably Bank of America, Chase and Wells Fargo. You need to know that this is not a program the homeowner can apply for. These programs are referred to as “outreach” programs: if you qualify, the bank will reach out to you and offer you the incentive. Furthermore, these institutions will not share their guidelines or how often they offer out these incentives. Another note of importance in regards to incentives, sometimes seller moving expenses can be negotiated with the lender. If the lenders approves, then this seller moving costs are settled at close of escrow. 42) I’m embarrassed to Short Sell my house, do I need to have a sign in front of my house that says "short sale"? No… You will have the choice to have one put out there or not. We can talk about that during our initial consult. If it will be easier on you, a simple “For Sale” sign can be placed without it saying anything about a short sale. 43) Can I live in the property while the short sale is going on? Yes, you can stay in your home during the process as lenders do not require you move out. In fact, lenders prefer you stay in the property during the process but the decision to stay or move out is up to you. Again, whether you stay or leave is really up to you the homeowner, but my professional opinion is yes you should stay and here's why.... If you no longer can afford the mortgage and you are able to stay in your home during the short sale process, use that time to save some money. After your short sale is completed, you're going to have to live somewhere. If you don't have friends and family to stay with, you can use the saved money on moving expenses and a deposit on your first month's rent at the new place etc. Also, keep in mind that during a short sale it's very important to find a willing and able buyer to purchase your property. If you leave your home during the short sale process there's a good chance your home could be vandalized or damaged in your absence. If your home becomes damaged after the buyer negotiates a contract, they have the right to and may walk away from the transaction. Therefore, if nobody else wants the home in its now damaged condition, you may be facing a foreclosure. 44) Why Do Banks Offer Short Sale cash incentives? Offering cash incentives makes much more sense financially for banks than going through with a full foreclosure. Foreclosures are costly and time consuming for banks. Banks aren’t in the business of owning and maintaining properties. Every month home owners don’t pay their mortgage bank lose money, and the home may even lose value during this time. So in the end, a cash incentive—even large incentives costs less for banks than starting the foreclosure process on the property. 45) How soon after a short sale can I buy another home? There is usually a 24-month “seasoning” period after completing a short sale before you can qualify for a government insured loan, in other words Fannie Mae, Freddie Mac, FHA or VA. For a non-government insured loan, there is no specific waiting period – This will vary from lender to lender, so make sure you contact them. With that said, FHA has revised its lending guidelines to allow borrowers, subject to certain circumstances, to buy a home immediately after a short sale as long as they remained current on their payments. We anticipate that as the real estate market stabilizes, bottoms out then starts to recover, you will see more and more lenders broadening their qualification guidelines in order to allow more and more borrowers who have done a short sale to buy again. 46) Where will I live after the short sale? Will anyone be willing to rent to me? This is a question we get asked by practically every client who decides to do a short sale. Most homeowners have not rented in years and are concerned that they will not be able to qualify to rent a home due to the short sale on their credit report. This could not be further from the truth. The reality is that most homeowners who have gone through a short sale have excellent credit aside from their short sale. This is readily apparent to a prospective landlord when they read your credit report. We always tell my clients to simply explain their situation to the owner of the property they are interested in renting. Keep in mind that nowadays, many of the landlords rental applicants are people who either went through a short sale or a foreclosure. Is this contributing to rents going up lately?... maybe so, but it can also be looked upon as landlords simply wanting to minimize their loses in case these victims of a short sale or foreclosure are in fact unable to perform on their rent obligations. 47) Will I have to pay federal taxes on the money my lender writes off in the short sale? There are several different scenarios with regard to whether or not you will owe federal income taxes on the loss the lender takes in a short sale. When you do a short sale, your lender is agreeing to settle the debt on the property for less than the amount they are owed. The IRS therefore allows them to write off this loss, which is why your lender will send you a 1099-C after the short sale. The IRS considers “debt relief” to be income for tax purposes. In other words, if your lender writes off $50,000 on your short sale, they will send you a 1099-C for that amount, and you would include that when you file your income taxes. The “C” stands for “Cancellation of Debt” and the law says cancelled debt is taxable as income. But - as of late, most people who do a short sale can qualify for the exclusion from them having to pay taxes on their short sale deficiency. This is due and thanks to the Mortgage Tax Debt Forgiveness/Relief Act of 2007, SB931, the California Code of Civil Procedure Section 580e and SB458, currently most homeowners who do a short sale on their primary residence pay no taxes on the loss that their lender incurs in a short sale. For you homeowners who have pulled out cash from their home but have put that money back into their home to improve their home, also are excluded from taxes on the short sale. All other short sale scenarios such as if you pulled cash out on your primary residence but spent it something other than upgrading your home or if you are doing a short sale on a second home or investment property, this could result in a taxable event unless you qualify for the “Insolvency” exclusion. The IRS does not require you to pay taxes on the loss the lender takes in a short sale if, at the time of the short sale, you are insolvent. Insolvency means your debts (including your mortgage) exceed the value of all your assets. In other words, if, at the time of the short sale, you have more debt than you do money or assets, you are considered insolvent. Many people who find themselves facing a short sale are in exactly this situation and are thus excluded from paying taxes on a short sale. I highly recommend you consult with your CPA-Tax professional and/or a Real Estate Attorney on this "insolvency" and short sale issues. You can also go to the IRS website and look up IRS Form 982, which is the IRS form for debt relief and short sales. The IRS gives an explanation of “Insolvency” on this form. The time period for The Mortgage Tax Debt Relief Act was originally only slated to go until the end of 2008, however it has now it has been re-extended to the end of 2013. Assuming this law is not extended again, short sales that close escrow after December 31, 2013 will be subject to taxes on the debt forgiveness. Again I recommended that you review your specific tax scenario with your CPA or accountant and have them answer any tax issues and questions that you have. The content to this question is for your information. I’m a REALTOR®, not tax advisor and I am not in the business of dispensing any tax advice. 48) What about California state taxes on the money my lender writes off in the short sale, will I have to pay? As of April 12, 2010, California has passed its own version of the Federal Mortgage Tax Debt Relief Act. It is the CA Senate Bill 401. This legislation brings California in line with the already existing Federal Mortgage Forgiveness Debt Relief Act of 2007…. SB401 allows Short Sale taxpayers who had all or part of the loan balance, on their principal residence, forgiven by their lender to exclude the forgiven debt from California gross income taxes. 49) If I pay mortgage insurance and default on my loan, why wouldn’t that cover the deficiency amount? In some cases it will and in some cases it won’t. It depends on the amount of the deficiency. Usually the mortgage insurance only covers up to a certain dollar amount. The mortgage insurance is not there for your protection, just the lender’s. 50) Can my lender go after me for the money it loses in the short sale? No. With the passage of SB 931, California Code of Civil Procedure Section 580e, SB 458 and SB401, lenders cannot pursue any deficiency judgment after a short sale. All short sale debts are considered debt settled for less than amount owed, thus "Complete & Final". 51) Will I have to pay capital gains taxes if I sell a property as a short sale? No. If your bank suggested that, it is far from the truth. Capital gains would indicate that you are in some way “better off” financially because of money you have made. In a short sale, the seller will net zero dollars…. This does not take into consideration that there is lender monetary “move out” incentives to short sell, but these incentives are outside of the scope the contractual short sale itself. 52) What if I have a first and a second loan on my property with 2 different lenders (or the same lender)? We can work with both lenders , many times the same lender holds the 1st and the 2nd loans. Even if the value of your home is below the balance of the 1st mortgage, we can normally get the two lenders to cooperate. A short sale with two loans is treated the same way as a short sale with 3-loans. Each one has to be negotiated individually. Typically, the lender in the first position will allocate a small percentage of proceeds to junior lien holders. For a short sale to close escrow successfully, lenders involved in the 1st or 2nd loans have to approve the short sale and agree to settle the debt. It is important to know that both lenders have a vested interest in doing this. The lender with the first loan does not want to foreclose, and therefore is willing to give a little money to the second in order to get them to agree to the short sale. The second lender will get nothing if the first forecloses. So the lender with the second approaches the situation knowing that something is better than nothing, therefore a high percentage of second lien holders will agree to take a fraction of what they are owed in order to avoid getting absolutely nothing. However, at times, homeowners can also be asked to make a seller contribution, that is if the seller has sufficient funds to do so. 53) What is the difference between a “recourse” and a “non recourse” loan? In California: generally, a purchase money loan (meaning the actual loan used to purchase the home) is considered to be “non-recourse”. On the other hand most any other type of mortgage loan such as a refinance (whether it’s a “cash out”, “rate and term” including HELOC’s) are considered to be “recourse” loans. The difference between these two loans is that in a “recourse loan” the lender technically has the right (recourse) to pursue a deficiency judgment against the borrower for the money they lose in a foreclosure. So, in addition to taking the property back in the foreclosure, the bank also has the right to pursue the borrower for the money they lost. Also, many 2nd position loans are recourse. If the 1st loan forecloses, the 2nd loan also may have recourse to pursue a deficiency for the money they are owed. Currently a Short Sale is treated differently. again thanks to SB 458, SB401, SB931 and 580e, lenders cannot pursue any deficiency after close of escrow on "non-course" loans. In a short sale, once there is a successful close of Escrow, all debt is "settled." 54) Why would the bank reject our Short Sale? Banks look for critical elements to approve a short sale, a specified time to complete a short sale is of importance to the lender. Remember, they keep losing money month-after-month. Also a rejection could mean that perhaps the bank has weighed-out its own options and they have concluded that they will make more money if they foreclosure on a property as opposed to granting a short sale. Sometimes the bank won't tell you that it stands to profit far greater through foreclosure. 55) How will I know that I am being released from my principal debt? That will be stated clearly on the bank's short sale approval letter. Depending on the lender, the verbiage will plainly state that they are "releasing the lien", "accepting a short payoff to satisfy the lien", "reporting the sale as a settled debt to the reporting agencies", "issuing a full satisfaction of the mortgage", "not pursuing a deficiency judgment", or some other variation that clearly states they are settling the debt for less than what they were owed. In addition, your bank will issue a 1099-C to you the seller after the short sale. This will confirm that the debt has been written off and is settled. Rest assured that your lender cannot write off the debt, issue you a 1099-C & then try to go after you for the deficiency. You can thank SB 458, SB401, SB931 and 580e. Prior to the passage of these bills, a lender did have the right to pursue deficiencies. 56) What are the advantages of a short sale vs. letting my home go to foreclosure? The primary advantage to doing a short sale, as opposed to walking away and letting your home go to foreclosure, is that in a short sale the debt is settled and you no longer owe the bank any money. If your home gets foreclosed on, you may still be liable for the deficiency in the event that the bank files a judicial foreclosure. In regards to your credit score, in a short sale your credit takes much less of a hit compared to a foreclosure. The impact on your credit will vary depending on how established your credit is at the time of the short sale or foreclosure. Fannie Mae & Freddie Mac revised their guidelines back in August of 2008 with regards as to how they view borrowers who have (1) filed bankruptcy, (2) gone through foreclosure or (3) done a short sale. Through these new guidelines, they are in effect severely penalizing those who go the route of foreclosure or bankruptcy and in a sense rewarding those who do a short sale. The short sale in itself is viewed as the borrower doing the responsible thing in light of their financial circumstances. Again, per these Fannie Mae / Freddie Mac guidelines: borrowers who file bankruptcy or go through a foreclosure have to wait up to 7 years to buy another home. In contrast, the new guidelines state that there will be at a 24 month waiting period after a short sale. 57) How long will a short sale take? It depends on the complexity of the sale. Short sale itself can take several months to process – sometimes up to 120 days or longer. Banks aren't structured to efficiently sell properties. Financial institutions have many regulatory procedures that must be completed before a short sale can be closed. Often times it's just a matter of cutting through a lot of red tape following the lender's various short sale policies, which usually include many people reviewing and approving specific aspects of the sale. If more than one lender is involved, the short sale can become more complicated and time more consuming. 58) What is the timeline to close a successful short sale? • The number of liens on the property. • The cooperation of the seller providing the necessary paperwork in a timely manner. • The performance of the buyer being able to close once the short sale is approved. • The expertise and follow-through of the person negotiating the short sale, the accuracy of processing the paperwork and the Listing agent’s general overall handling the entire transaction. Note: With that said, the short sale process is as follows: the property goes on the market as a "short sale", priced at or about a little below market value. In other words, it is marketed at a competitive price that the bank may be willing to accept and is low enough to stimulate offers quickly. Once the seller receives an offer they are willing to accept, that offer is submitted to the lender along with the seller’s financial information.. This said information will consists of 2 years of tax returns, 2 months of bank statements, a financial worksheet and a hardship letter explaining why the seller wants to do a short sale. Once an offer and a complete short sale package is submitted to the lender, approval can take anywhere from 30-60 days before the bank assigns a loss mitigator , this will depend on the lender. If there is a 2nd loan/lender, that could possibly add another 30-60 days to the process. The lender reviews the offer, the hardship letter and the seller’s short sale application. The lender also will send out an appraiser to figure out what the property is worth with the intent of making sure they are getting something close to market value. At this point, the lender will either accept the offer or ask to increase the sale price through a “counter offer”. At this point, the buyer can either accept the lenders counter offer or reject it. If the buyer cancels at any point in the process, that can also add another 60 days. In addition to the 5-basic items mentioned above: other factors to the timeline are, who the lender is and the property itself. On the average short sales, with most lenders, takes about 4-6 months. 59) Do I need to be behind on my payments to do a short sale? There are a lot of myths floating around when it comes to successfully doing a short sale. One of the more prominent untruths is the fact that you need to be in default with payments in order for the lender to consider a short sale. Although you do not need to be in default, it is important to know that most lenders will act much quicker on a file that is delinquent in payments as opposed to a file that is current . This makes sense, right? Lending institutions prefer not to foreclose, therefore they would be more motivated to work with you if you are not making payments. 60) Do I need to continue to make my HOA payments when I do a short sale? How about my property taxes? HOA payments: With the current state of the economy and with the number of defaults taking place, the HOA dues are one of the first things that homeowners stop paying when they decide they would like to pursue a short sale. When a lender reviews a short sale request, there are many items on the closing statement which they will agree to pay, things like delinquent property taxes, natural hazard disclosures, and many common seller closing costs, however, delinquent HOA dues are usually not one of those items your lender will pay. In California, lenders simply will not pay delinquent HOA dues and one needs to know that those dues must be paid current in order to close the transaction (ie:Escrow). I always suggest to homeowners that whenever possible, and if the homeowner can afford it, keep paying your HOA dues until the short sale transaction closes and the property has changed ownership. It keeps the whole transaction “clean” and your home will more-than-likely attract many more interested buyers than if there are past HOA dues owed on the property. If you are already behind on your HOA dues and do not have the means to catch up, we can sometimes negotiate the account balance down directly with the homeowners association. In many cases we can get them to settle for half (or more) of what is owed. This amount negotiated with the homeowners association still needs to be paid/current before escrow can close. To do so, it will involve further negotiations with buyer, seller and other direct parties involved in the entire transaction. Property taxes: if you cannot afford to pay them and are delinquent, this is an item the lender will agree to pay. The monies to cover this expense will come from the gross sale proceeds at close of escrow. 61) I have property that I inherited but I cannot afford the mortgage payments… Can I do a short sale? Yes. It can be classified as a Hardship. 62) Is it possible to do a Short Sale without damaging my credit? Absolutely not, a short sale will damage your credit but it doesn’t do near the damage as a foreclosure, Deed-in-Lieu or a Bankruptcy. 63) Me being the owner, Can I do my own short sale? No. In California, you need a licensed and experienced Broker/REALTOR® to perform a short sale. 64) Can we just list the home at a really low price in order to get a buyer rather quickly ? The house needs to be listed at a Fair Market Value (FMV). It will not do you any good to put a unrealistic price and get an offer for that price. The bank will not allow that. Remember, the bank is the one taking the hit. So they will send an appraiser to value the property, If the house is priced too low and if an offer is unrealistically low, then the bank will ask for both the price and offer to be increased. The bank is going to be careful about the size of the hit, and always know that if they can get more in a foreclosure sale, they will opt for that. 65) Can I short sale a rental property? Yes, it is possible to short sale a rental property or non-owner occupied property. This type of short sale is treated differently than an owner occupied short sale. Here is a couple of questions that need to be answered… Was the house purchased as a rental or was it converted to one later? If you originally purchased the home as your primary residence and later converted it to a rental, then this will be a non-recourse loan that is if you never refinanced it. If you indeed purchased the house as a rental, then by California law it would be a recourse loan. If the house is recourse you may have to deal with taxes due to the sale. As you can see, the short selling of a rental property can be a little more complex than a owner-occupied short sale. Therefore, in addition to contacting me, I highly recommend that you also consult your Accounting/Tax professional and a Real Estate attorney. Together we can make this happen, I just want you to be advised that there could be tax implications and/or ramifications in regards to the short sale of your rental property. 66) What is the Mortgage Debt Relief Act? 67) What can I do if I have an upcoming foreclosure date? The first thing you should do is not panic. 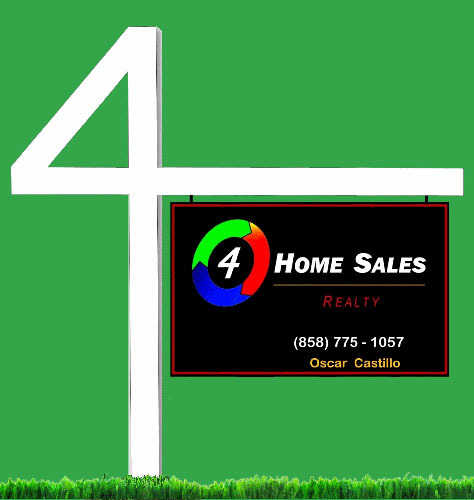 Secondly, you need to call me at (858) 775-1057 - Oscar Castillo: Short Sale REALTOR® Broker Associate. Even if your foreclosure is one week or one day away, it may be possible to delay the foreclosure proceedings. (best if it is at least 15-days away). Many people feel that because they receive an Notice of Sale (NOS), all of their options are gone. This is not true.... It is estimated that it costs lenders up to $60,000 to foreclose on a home, so most lenders would rather take a less expensive approach. If you are serious about stopping the foreclosure proceedings, the lender will be willing to listen as long as they see an effort on your part by you using a REALTOR® with short sale experience. 68) How do I avoid Short sale scams? It is important to be aware of “foreclosure scams” and how to avoid them. Tactics are being used by unethical short sale agents who are preying on the vulnerabilities of distressed homeowners. The most prevalent of these tactics is instant short sale flipping, which is known in the industry as “short sale flops”. In a basic sense, a short sale flop occurs when unethical agent hides legitimate offers from buyers who have put in an offer to purchase. Instead, they tell the homeowner the house is not selling and that no purchase offers have yet to be received, but they have an investor who is willing to make an all cash offer for less than market value. The home is then sold to the investor, who instantly sells it to one of the original buyers that had previously put an offer in on the home. The short sale agent makes double commissions, plus may take a cut of the profit made by the investor. The biggest red flag for an unethical short sale agent is one who does not keep you informed, and refuses to let you know when offers have been submitted. It is also important that the agent should work for and/or owns a company that disallows this type of activity. Also be aware of any agent or company who requires money upfront, as this is illegal. 69) What if I am unable to reach my mortgage company? If you are thinking of buying a short sale home, below are some items to consider plus some short sale FAQ’s that might be of some help. ♦ Expect a long wait. In a “traditional” sale (not a foreclosure or short sale), you make an offer, and the seller reviews it. Maybe you go back and forth on the price a couple of times, but an agreement to sell the home typically happens in a couple of days. Not-so much in a short sale. You make an offer just as in a traditional sale, the owner of the home agrees to sell it, and now the offer gets sent to the bank. Remember, it’s the lender/bank that has to approve the sale price. And that can take weeks, sometimes months. If you aren’t in a position to wait for months on an answer as to whether or not the bank will accept your offer, then you really should not get involved in the pursuit of purchasing a short sale. ♦ Don’t expect the seller to make any repairs to the home. In a traditional sale, repairs are negotiated between the buyer and seller. Again - not so in a short sale., most homeowners are short selling because they have financial issues. Therefore the owner usually has no money, will not make a dime on the sale and more than likely will not participate towards any repairs. So you as the buyer, you need to be prepared to buy the home in the current “as is” condition. 70) What do buyers need to know about purchasing a short sale property? Buyers interested in a short sale property must be patient. One way to expedite a short sale purchase is to be a cash buyer, but this isn't always possible. Being well-qualified with a substantial down payment and pre-approved is second best. Buyers should also know that banks don't like to negotiate repairs or other contingencies (ie: such as the need to sell your current home before you buy this short sale) It's important that buyers when considering the purchase of a short sale property to work with a REALTOR® who is experienced at closing these types of transactions. Experienced agents can help alleviate much of the stress related to the short sale transaction by knowing what to look out for and how to best communicate with the listing agent and/or lender if needed. 71) Is it true that short sale contracts never go through? That is absolutely untrue. Short sales can and do go through. The secret is in the quality of the offer and the contents of the short sale package. Short sales got a bad reputation from the beginning. This was because they were being attempted by people (Realtors and bank employees) who were not sure of what they were doing. If the offer is not within the range of acceptance by the bank and the bank does not have all of the information they need, it will not go through. Make sure that whether you are a buyer or seller, you only trust the transaction to someone who is educated in short sales and knows how to navigate through the whole process. 72) How does the bank decide what the Fair Market Value (FMV) is on the home? It depends on the bank. Some banks do this through a BPO (Broker Price Opinion) and most all get the home appraised by a certified appraiser. Many times the value comes back unrealistically high and your agent has to be prepared to show the bank, via comparables, that the home is not worth the inflated value that the appraiser has stated. 73) Can I put a “lowball” offer in and get a "steal" ? Even if a seller accepts your offer, a bank/lender is not going to accept a dramatically lowball offer. You, as a buyer, best be ready for the bank to ask for more than your initial seller accepted "low" offer. There is a percentage of net proceeds that is within the lenders acceptance range. The key is getting your offer in at a market price that the lender will accept. If you put it in an offer lower than that, and let’s say you are the only offer, then the bank may chose to Foreclosure over releasing the lien and allowing a short sale transaction to proceed. Keep in mind that the lender is always “weighing out” whether what will net them the highest proceeds – a Short Sale or a Foreclosure. Your offer to purchase must be a "smart" offer, and if accepted…. Be patient, it will take months to settle. I know there is a a lot of FAQ’s mentioned above. I truly do not expect you to memorize and/or understand them all. My intent is to help you to become a little more knowledgeable in regards to what a short sale is and to give you a better understanding that a short sale is a complex and lengthy process (time wise). No two short sales are the same. If you are considering selling or buying a home, it would be my pleasure to go over the seller options you may have. And if you are a buyer with the patience needed for a short sale purchase, then always know that I am here to Help, Guide and Accomplish your Real Estate goals as your buyer representative..